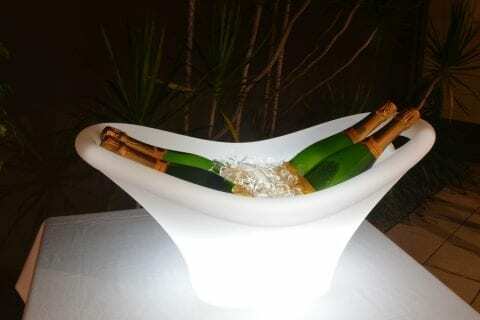 Bucket LED Outdoor Lamp is able to receive two magnums & is the biggest model of ice buckets available! This wireless LED lamp will light your evening parties and amaze you guests. Its low-consumption Bluetooth technology allows you to control the lamps and their ambiances via your smartphone or tablet, in a really simple way!